Do you enjoy autumn activities with the family and fall-inspired cuisine? 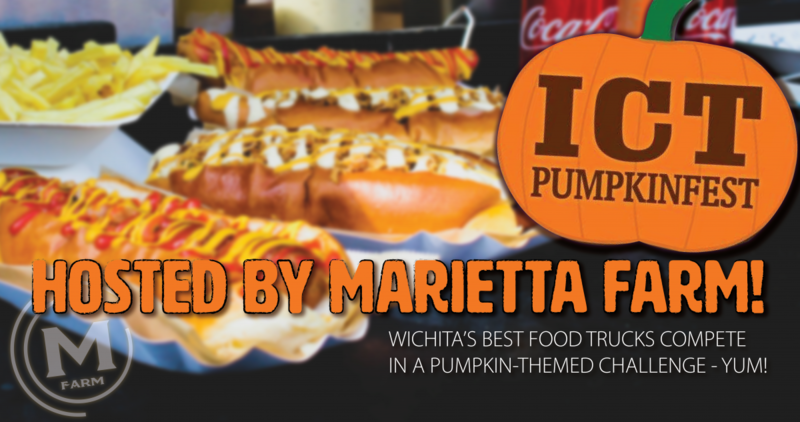 If so, you'll want to attend the 2nd Annual ICT Pumpkinfest hosted by Marietta Farm this Sunday. Wichita's BEST food trucks will set up shop in the parking lot of Marietta Farm at 1600 E US-54 HWY in Andover on Sunday, October 21. Vendors will serve up pumpkin-themed dishes and a winner will be chosen by a panel of judges to receive the coveted PUMPKINFEST TROPHY! Attendees will also enjoy live music and are invited to explore the fun happenings at Marietta Farm. Food and beverages will be for sale from 12:00 pm - 4:00 pm and Marietta Farm will be open 10:00 am - 7:30 pm.